Home / Uncategorized / Pass me that Puncheon Porter! 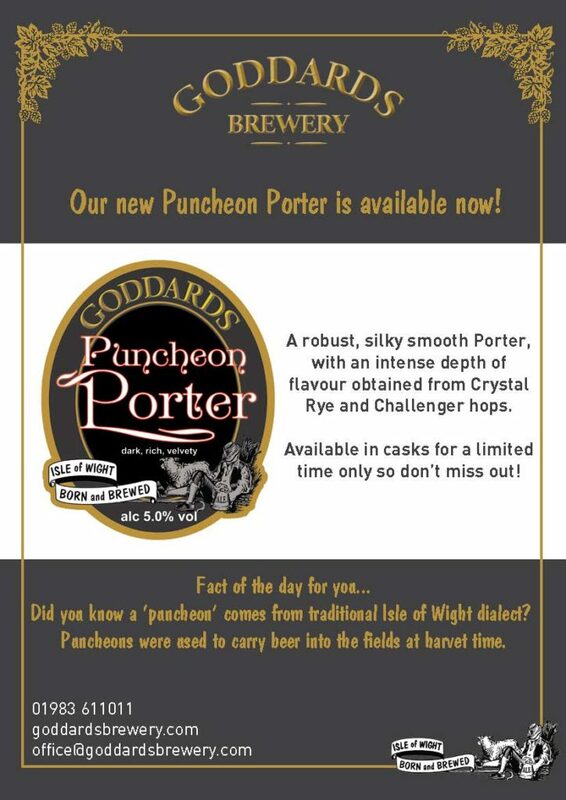 You better hurry if you are wanting to get your hands on our new Puncheon Porter! Available in 9 gallon casks for a limited time only, you better give us a call on 01983 611011 to order your cask now to avoid disappointment (pre-orders means it will be flying out on its official day of release – 29th November 2018)!! !